Dominate a grappling situation with this Takagi Yoshin Ryu Home Study Course! The Takagi-Yoshin-Ryu, founded in the 15th century by Oriuemon Shigenobu Takagi, was no exception. ...the ever-present plague of bandits and thieves looking to pounce on the unsuspecting traveler. Can you imagine a place or time like that? Sounds a bit like the world of today, doesn't it? And yet, it was exactly the same in the days when Takagi-Sensei set out to create a system for survival against, not just anyone, but assailants who would attack with the strategies and tactics most common for the times. And ironically, we are at a point in history where things are repeating themselves and these tactics are the perfect answer to today's common attacks. Believe it or not, and contrary to popular belief, not all systems were founded by the perfect warrior who never lost a battle. In fact, the Takagi Yoshin Ryu stands out as an exception because it's founder did not die as most did - at the hands of his opponent who had the greater skill! No. He survived his humiliating loss and decided to re-examine what he always held to be true about the teachings he received. And THIS is one very important reason why the TYR stands out as one of the most powerful and unique lineages ever developed. ...but in defeat at the hands of a superior opponent. This is where true warriors are born. Not in the theory and blind faith of the everyday student. Oriemon Shigenobi Takagi was a master teacher in the school of Jutaijutsu ("grappling arts that became modern-day, soft-style karate") during Japan's Sengoku-Jidai warrior-states period in the mid-1600's. And, like all accomplished warriors of his time (and UN-LIKE most martial artists and teachers today), he already had several "heads-in-his-closet." Meaning that, he had already survived combat and killed opponents with his skills many times over. Takagi was challenged to a dual by a visiting practitioner from another school. ...there was something VERY WRONG with what he had been learning all those years. 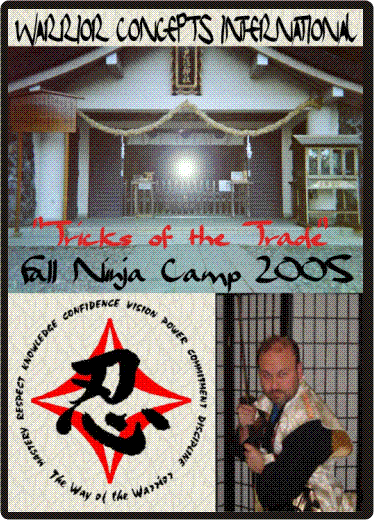 As a result, he left his school and all the investment he had put into it and set out to find the techniques, tactics, and strategies of True Budo. ...or who can create a system of this-or-that "jutsu" or "do." It was about having only one life, one chance to do something with that life, and he set out to develop that understanding into something that was more in-touch with what we might call a "martial sense" more than what has become, martial "faith." ...upset his "OWN" way of moving and thinking to be able to execute that unexpected move that would take the opponent with him as he fell or was hit. These realizations, derived from his own personal experience became an important part of his personal way of surviving during hostility. Armed with this new insight, Oriuemon became a great fighter and survivor. This truth is witnessed by the survival of this powerful lineage for the next 17 generations until now, you can finally master its secrets. Secrets that were born out of chaos, confusion, and failure. Only to be turned around into one of the greatest fighting systems the world has ever seen! Regardless of your experience level or experience, the Takagi-Yoshin Ryu Shoden Scroll Home-Study Course has something to take your grappling self-defense ability to the next level - guaranteed! 4) Committed individual looking for rock-solid self-defense skills and determined to survive against any assailant who makes the mistake of attacking you! The Takagi-Yoshin-Ryu Home Study Course is a must-have for your home learning library. Now, you can master the 1st level scroll of this powerful lineage through this Warrior Concepts' Home Study Program. Master Instructor, Shidoshi Jeffrey M. Miller, guides you, along with a group of dedicated and committed students, through the Shoden no Maki "beginner level scroll" of this powerful, ancient lineage of effective, warrior combat and self-defense. You will learn, not only the techniques, tactics, and strategies designed to teach new practitioners to the art how to dominate an attacker, but you will also develop a deeper understanding and feeling for true budo (real martial ways of a true warrior)! Read an opponent's actions so that he's always off-balance and on the losing side BEFORE he ever attacks! Cloud the mind of your assailant so he never knows what's going on or whether the move you're doing is REALLY what you're doing! Apply some of the most devastatingly effective joint locks and manipulations that have ever been developed - anywhere! Turn a punching, kicking, striking situation - one that your attacker is comfortable with - into a grappling one where he is lost, confused and failing miserably! Win with the will and desire to overcome - instead of treating combat like a rule-laden game where you "hope" for the best! Develop & master the insights and understandings of a master warrior with years of real-world combat experience and why he would choose to add the lessons of an ancient lineage like the Takagi-Yoshin Ryu to his arsenal for use on the mean-streets of today's world! and so much more than can be listed here! Dozens of tips, tricks, strategies, and "How-to's" for tipping the scales of any attack in your favor! You really have to experience this DVD-based home-study course to see just how much information Shidoshi Miller pours into every training event. Students are literally overwhelmed and blown away with all they learn! And... SO WILL YOU! ...he will guide you through the mindset of the warrior who understands that he or she must survive against an adversary who will stop at nothing to win. And YOU must be willing to do the same! 2 bonuses that opens up the entire world of not only this powerful lineage, but the world of Ninja training as taught through Warrior Concepts & the Bujinkan Moki no Tora Dojo! To order this powerful video, just click on the Purchase Button below. To Order By Phone, just call Warrior Concepts International in the US and Canada at (570) 988-2228 and have your Visa or Master Card information ready. No thanks. I'll figure this training out on my own.